Unique recording features wealth of content and value covering strategic, substantive, and procedural issues for trademark attorneys analyzing and responding to USPTO trademark Office Actions. "The class more than met my expectations. The workbook alone was a huge help and resource. As for the instructors, I appreciate the honesty, candor and "real ness". It was nice for someone who clearly knows so much about the topic be so open and willing to share that information"
Erik Pelton is a former USPTO trademark examiner and owner of Erik M. Pelton and Associates, PLLC. He has filed thousands of office action responses over his 19 years in private practice and obtained over 2,500 trademark registrations for his clients. 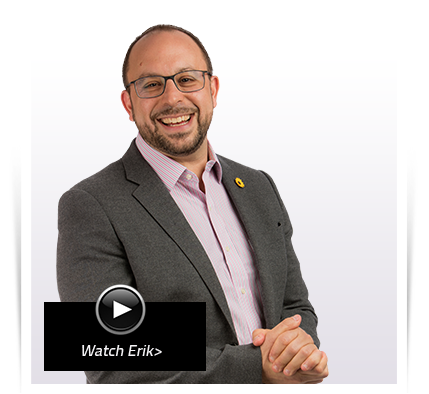 In addition to his law practice, Erik has mentored and trained dozens of interns and associates (including several later hired by the USPTO) and spoken at many conferences, such as INTA and the ABA. He is also the host of the “Tricks of the Trade(mark)” podcast. Sonia Lakhany (known on Instagram as @trademarklawyerlady) and owner of Lakhany Law, PC, an award-winning trademark law firm. She has been featured multiple times in Bloomberg as well as in Entrepreneur Magazine, Business News Daily, CBS, USA Today, and other notable publications. In addition to her law practice, Sonia teaches courses to other attorneys on practicing trademark law as well as legal marketing. If you've taken (or heard of) "2 Weeks to Trademarks", you already know Sonia's fun and dynamic teaching style. "The course was great and came at the right time for me as I am adding more and more trademark work to my core patent practice. The material answered directly some simple practical questions I had – e.g., how to retrieve only registered live marks in a search and downloading multiple records for evidence – and also provided valuable depth to legal arguments for traversing refusals. Kudos to Sonia and Erik!" What do I receive? The 5-hour video replay, the entire PowerPoint slide set, AND the workbook of over 1500 pages and over 30 sample Office Action responses. How much is it? $797. Scroll down below to purchase. Can I purchase just the workbook? Yes, for $497. Scroll down below to purchase. DISCLAIMER: Participation in this webinar does not create an attorney-client relationship. Only formal engagement by signing an agreement for legal services creates an attorney-client relationship. Nothing in this webinar shall be construed as legal advice.